Many thanks to my friend Moumita at Perceptions Unplugged, who breathes life into words with her unique perspectives on life. She has a way with telling stories, like a fresh breeze, so make sure you pay her a visit! I also invite anyone who would love to participate, to answer these questions and nominate themselves. I hope to hear from many wonderful bloggers this way! What to Do if Nominated for the Liebster Award? Write a small post about what makes you passionate about blog posting. 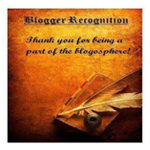 Nominate 5 – 11 blogs that you feel would enjoy blogging about this award. Inform the people/blogs that you nominated. Leave a link to your response post in the link provided below. Pencils and pictures were my constant companions over a relatively lonely and quiet childhood. I wasn’t much of an introvert as a child, but when I had to move to my new neighborhood at 8 and there weren’t many opportunities to socialize with children my age, solitude and I developed a bond that still grows stronger with time. My source of entertainment in those years were the stories I created in my head. Sometimes I’d pick a character from some story or movie, and try to understand their motives and their personality, and I quite enjoyed the developments I came up with, which were almost always presented in writing. This love grew on me as the years passed, and that’s how I developed a passion for blogging. In many ways it is a return to simpler days, a reminder of Home. So here I am, writing away about the little that I know of the world, and presently working on answering this brilliant blogger’s interesting questions as best as I can. What is that one thing you hate doing the most and yet need to do it often? Because even if I do come across anything I loathe, I would eventually find something to love about it as well. For instance, I dread picking myself up and doing housework, but once I start on it I’ll enjoy the little steps to a squeaky clean home. The satisfaction at the end is worth is all. Who is that one person you would like to thank for standing beside you in times of need? My parents, always. They made me believe in family, love and the beauty of commitment. They helped me understand true love, which gives me faith even in the darkest of times. As a tree needs its roots no matter how tall it grows, I need them and derive my strength from them, and hope to one day give back to them as much as they have given me. What is the advice you wish you had followed in life? My childhood extroversion gave way to adolescent introversion, and this left me with a slight inability to express myself fully. There were times when I let go of people and opportunities because I wasn’t sure if my voice was worth being heard. Even now, I struggle with this though not as much as I used to. I’m actively trying to break this barrier because the beautiful people in my life deserve to know just how precious they are to the world. If you are given a chance to rewrite the ending of any novel, which one would it be? Let not my amateurish literary hands pollute the work of a great author, haha! I resonate with the kind of connection an author would feel for their characters. No one can quite hope to understand these characters as best as their own creators, so they would already have provided them with the best of all. Besides, a true story never really ends. What do you look forward to read when you follow another blog? The childhood fascination with personalities clung on to me, and that’s precisely what I look for in other blogs. A certain transparency in them, and my need to understand the people I share this planet with. The blog space has some of the most insightful and intuitive people, and it’s great fun listening to them. I’ve come across true artists and incessant learners, and have learned so much from each of the blogs I’ve ever followed. Are you a selfie lover? Not at all. In fact I’m rather shy of them, but that’s perhaps because of the limited smartphone use (I don’t own one, as of now). I prefer to commemorate the place and the little quirks about it. Thanks to my sparse social media presence, leaving a digital stamp of my visit doesn’t mean much to me. What will you prefer to do the most – travel to an unknown location or read an interesting book with a cup of coffee? I could read a book anywhere, anytime. The chapters would stay the same. But if I grab the chance to travel, I’d be writing a new one in the book of my own life because a trip presents so much more than just a new place. Have you ever judged someone entirely by his/her physical appearance? I would never want to be judged that way, so I always take care not to do that to anyone else. Besides, I learned early in life that shallow pools are often deeper than they seem, and the brightest lamps may be hiding the most petrifying darkness. What were your expectations when you published the first post in your blog? I value every new experience I receive, and my first blog post was an important turning point in my life. I hoped it would let me train my voice (I’ve always wanted to be a writer) and meaningfully connect with people, and those expectations were met beyond measure, which I’m grateful for. What is that one (good/bad) habit that has stuck with you since you were a kid? As a child, I was blindly devoted to everything magical and firmly believed it existed. Even after the age where children usually grow out of this stuff. And I never ceased believing. I still believe this life is a miracle, that each one of us is a miracle, that everything that happens is magical. That’s one thing that helps me stay optimistic, most of the time. You can’t stop laughing when you think today about an incident that happened few years back. What is it? As a baby, I loved chatting up random people and getting friendly with whoever gave me a kind smile. Of course, I don’t remember all this and it’s just hearsay from my parents. There’s one particular instance that cracks me up every time I think of it. My parents and I were travelling by train, and as usual I was playing with a friendly stranger. My parents weren’t too happy with this, so when he excused himself for a moment, they took me aside and told me there were people who would pretend to be friends and kidnap children. By the time he returned, I was subdued and he inquired about the change in attitude, at which I promptly asked him if he would kidnap me and take me away from my parents, because that would make me very sad. Thankfully, he took it lightly, from what I hear. And I for my part, will always think twice before telling anything to young children. I also invite Perceptions Unplugged to answer these questions if she so chooses. If I’d known I could nominate myself, you’d be right up here. I know you’ve already submitted your post, but hey I’m curious! If it’s not too personal, how do you kick start your day? If there was just one magic spell that you could use to change one thing in your life (this magic spell can do just ONE thing and you can use it only once), what would it be called and what would it do? Which celestial body would you be, if you had a chance to choose? It could be anything – a planet, a satellite, an asteroid, even a black hole! Which geometrical shape, according to you, best describes your life? Do elaborate! Suppose you came across an alien that could understand and communicate in whichever language you speak, and (by some twist of technology/ intuition/ fate) you know they can. What would be your first instinctive response? Both crossword and sudoku have empty boxes to fill. In a crossword, you’re explicitly given the clues and guided by the letters you already filled in. On the contrary, a sudoku needs you to look closer and let yourself be guided by the numbers already present. Do you prefer that you be explicitly given the clues, or would you rather find them yourself like little treasures on the way? Love. Hope. Faith. Which food item, according to you, portrays these emotions best? Would you prefer to be forever trapped in a maze of all your favorite things in the world or go on a journey where the most exciting yet unknown things are thrown at you? If you are your own fairy godmother ( or father, for that matter ) what would you protect yourself from and why? Which character from a movie/book/show would you want to invite for tea and have a one-to-one chat with? Do mention one thing you would ask them. So, what are you waiting for? Go ahead and nominate those blogs you love and pass on the magic! Your answers are as well. Glad to know you like everything you do or make it so. Travel and coffee/book is so difficult for me to pick. I would love to travel also. I wish I was able to find something good in anything I do. The first answer I got, and such a refreshing read. Thanks so much for taking up the questions! 🙂 And all the best to you too! i so enjoyed your responses, it showed so much of your wonderful personality. your quotes resonated with me, your love for magic and stories and love for your parents all a testimony of their wonderful parenting. yes they do deserve the credit and you have done it admirably well here. keep on writing, “a girl who writes” you have a strong and vibrant voice, it needs to be heard. with age and maturity it is going to become something so outstanding. i wish you only the best on your writing journey and in life. you have the resilience and buoyancy to see anything through.”Besides, a true story never really ends.”- my favourite line in your post. You’re way, way too kind. Thanks for such motivation, they really do make my day. My writing is such an integral part of who I am so whoever takes the time to go through and respond to it, I’m really grateful to them. 🙂 Thank you many times over! I would love to answer your questions, you had some really interesting and original ones that I found very irresistible. I would love to live in your brain! Truly! 1. If it’s not too personal, how do you kick start your day? 2. If there was just one magic spell that you could use to change one thing in your life (this magic spell can do just ONE thing and you can use it only once), what would it be called and what would it do? 3. Which celestial body would you be, if you had a chance to choose? It could be anything – a planet, a satellite, an asteroid, even a black hole! 4. Which geometrical shape, according to you, best describes your life? Do elaborate! 5. Suppose you came across an alien that could understand and communicate in whichever language you speak, and (by some twist of technology/ intuition/ fate) you know they can. What would be your first instinctive response? 6. Both crossword and sudoku have empty boxes to fill. In a crossword, you’re explicitly given the clues and guided by the letters you already filled in. On the contrary, a sudoku needs you to look closer and let yourself be guided by the numbers already present. Do you prefer that you be explicitly given the clues, or would you rather find them yourself like little treasures on the way? 7. Love. Hope. Faith. Which food item, according to you, portrays these emotions best? one for each or one for all? in the first I would say hot chocolate, Punjabi tea and wine. in the second – cake! in a snow globe so I would have snow forever – ironically I just wrote a short story on this! 9. Would you prefer to be forever trapped in a maze of all your favorite things in the world or go on a journey where the most exciting yet unknown things are thrown at you? 10. If you are your own fairy godmother ( or father, for that matter ) what would you protect yourself from and why? 11. Which character from a movie/book/show would you want to invite for tea and have a one-to-one chat with? Do mention one thing you would ask them. Thank you for the reply (and sorry for my late one!) , it was great fun reading them! I understand you chose to not do a Liebster nomination, but I do encourage you to do that you know! It’d be fun. 😀 I know, I’m selfish. And I have heard of the Golden Compass, how the movie was nothing compared to the book, but now seeing you quote from it I really am intrigued. As always, thank you for your insightful comments. They always throw light on so much. 🙂 Do have a great weekend! thank you for you reply, late better than never, we all have lives that demand so much of us, so it is very nice to be remembered even after a time. I have done a number of awards in the past, in the early days of blogging but that was good then, now my focus has shifted. I like reading about others on their blogs but it is a tool to generate more readers and followers so I do support it for the new bloggers. The books always surpass the movie, when you read it you don’t need visual, your mind creates them. I hope you get to read it. Have a most lovely and blessed weekend! We will chat again. Oh I like how we can connect over so many things and it makes this blogging journey really meaningful for me to meet people like you. Life of Pi was very magical, the colour was mesmerizing and a strong story too. Wow, thank you so much for this Gina. I’m really honored! I do love your pick of songs, though I’m not familiar with any. The lyrics sound so interesting, I’ll surely check them out. 🙂 Thanks once again! Wow. I can’t even tell you how much I enjoyed reading this. In a lot of places, I saw myself and in a lot of other places, I saw a beautiful, nice and sweet person who I would probably talk to throughout the day. I love how you took your time and answered each question. It made me understand you better and also made raised so many more questions. I’ve always loved getting to know new people (yet I can also relate to being an introvert) and the best part about it is when you get to know how differently/similarly some other person looks at the world and from this post I think I achieved a very small part of it, which, btw, is a very big deal! PS. I’d love to know your answers to the questions you asked! You’re way too kind, and I’m so grateful to you for the time you invest in reading my posts and expressing your ideas – the latter, especially. Yes, for me getting to know people on a deeper level is just the best part of blogging. Somehow people, especially introverts, express themselves better through other means than speaking.